The 50mm lens has been the standard in 35mm photography ever since it was invented. It”s not exactly known why that it is, but some say it is the ideal perspective. Whatever the reason it became famous, here are 5 reasons why no photographer should be missing a 50mm. Most lenses of this focal length are fairly small and that is a great advantage. Besides being more a lighter weight to carry than a standard zoom, they’re also pretty inconspicuous, especially if you don’t mount the lens hood. 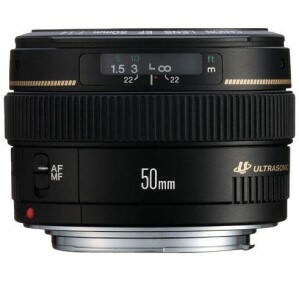 This turns a 50mm into a great lens to shoot street photography or anything else that requires you to stay unnoticed. The ironic part is that even if the lens is small, most full frame bodies are, sadly, sill pretty big. Things are starting to look like they’re changing however, if you take a look at the new Nikon D600 and the Canon 6D . Because it is a prime lens, it means that if you want to change the distance between you and your subject, you’re going to have to move. Besides the exercise, this will slow you down and make you think twice before pressing the shutter release. It will take a little bit of adjustment, especially for someone who has only used zoom lenses, but in the long run it will bring significant progress to the way you see things before you photograph them. Many people think of the 50mm as a standard portrait lens, but the truth is, it makes just about everything look good. It is the perfect balance between 35mm, which can be a bit too wide in some situations, and 85mm which is a bit on the tight side. It’s the kind of lens that allows you to go out shooting without carrying anything else. It is great for portraits, but you can use it for landscapes and street scenes as well. It allows you to frame more than just your subject, if that’s what you want to do, or you can take a tight portrait without getting too close and personal. Once again, it is greatly balanced. You can isolate your subject from the background, but in case you actually want something from the environment in the photo, you won’t lose as much background view as you would with a 85mm lens. All 50mm lenses have large apertures, and that means really nice bokeh, certainly better than any constant f2.8 zoom. Most 50mm lenses are very cheap, and even the bright f1.4 versions are affordable if you consider what you get for the money. It is because, in terms of optical construction, they are very easy and cheap to manufacture. It is one of the exceptional cases when top of the line quality is available at decent prices.